Eastern philosophy holds some of the best methods for finding inner peace and attaining peak spiritual development. And, inner peace is vital if you’re looking to become a well-rounded individual. Specifically, Buddhism is a way of life that is guaranteed to help those who adhere to its tenants find the enlightenment they are searching for. But, it’s not always easy to figure out where to start. Interested, but don’t know where to begin? Don’t worry, we’ve got you covered. Let’s take a look at everything you need to know about Buddhism basics. Unlike other common religions, like Christianity and Islam, Buddhism has a non-theistic religion. This means that there is no god or higher being as the focus of the religion. Rather than having a “creator,” everything has simply always existed since the beginning of time. Instead, the focus is on the self and the attainment of spiritual enlightenment. Whether or not this is achieved (and also whether or not the individual fails) is also up to the self. Thus, you should understand going in that Buddhism takes more spiritual “work” than other faiths, as there is no divine ruler that can intervene. But, this also means that you’ll experience more spiritual growth due to the level of involvement. Much like how there are central tenants in other faiths, Buddhism has its Four Noble Truths. While easy to understand, the concept behind the Four Noble Truths involves a lifelong journey. At the center of all existence is suffering. This is known as dukkha. At the root of all suffering is desire. To end dukkha, one must find a way to cast off their desire. There is a method to achieve this, known as the Eightfold Path. The Four Truths, as you can see, are about becoming self-aware of why there is suffering and subsequently seeking a way to end it. According to the teachings in Buddhism, desire leads to either dissatisfaction or the suffering of others on the way to achieve the desire. Regardless of the outcome, suffering is proliferated in the pursuit (and even presence) of desire. As previously mentioned, the entire purpose of the Eightfold Path is to eliminate not only your own suffering but those of others, as well. There are eight steps you must follow, each with their own philosophy. Samma dithi– The right level of understanding. The Eightfold Path begins with understanding the Four Noble Truths and how to find a way to break the cycle of suffering. Samma sankappa– Having the right thought. Seeking to be selfless and loving in the thoughts you have, as thee manifest into your actions. Samma vaca– Speaking the right way. You should be expressing positivity with your words while avoiding lying, abuse, and blame. Samma kammanta– Right action. Murder, theft, and inappropriate sexual behavior are to be avoided at all costs. Samma ajiva– Finding work that is fulfilling for you that also benefits those around you. It also involves abstaining from alcohol and drug use. Samma vayama– Consistency in following the Eightfold Path. Just because it’s difficult at times is not an excuse to stray from it. Sama sati– Being aware of yourself and the world around you without becoming attached to either of them. 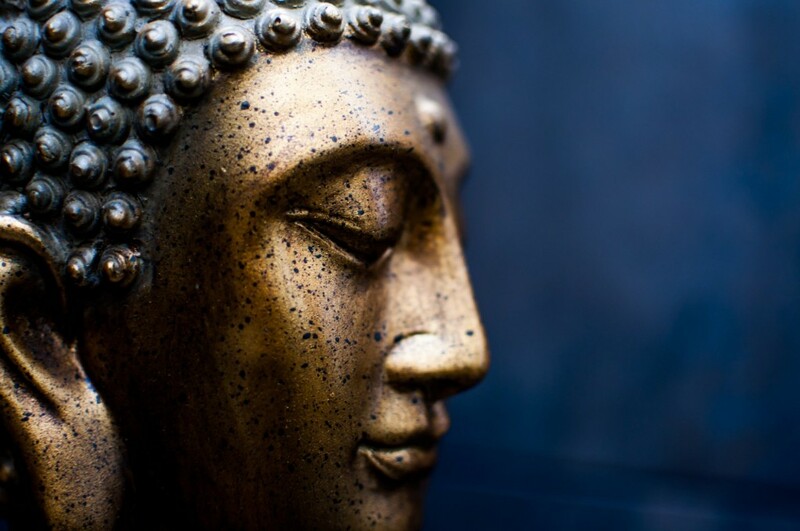 Samma samadhi– Concentration. Practice meditation regularly and you will become one step closer to finding a way to end your suffering. Each step must be followed if you want to succeed, and it’s imperative that no exceptions to the rules are ever made. Staying true to the Eightfold Path is vital if you wish to reach your destination. With the Four Noble Truths and the Eightfold Path in hand, you’ll be well-equipped to make progress toward total enlightenment, a state of being called Nirvana. The end of suffering is the main pursuit of Buddhism. But, this can only be attained by reaching Nirvana. Once this spiritual level is reached, the cycle of endless suffering and death that humanity experiences will finally be broken. Reaching Nirvana, however, is not at all an easy task. Rigorous meditation is an integral part of the process. But, meditation can only take you so far. Its main purpose is to help you realize the conflicts in your life that keep you from Nirvana. For example, let’s say you religiously follow the Eightfold Path in everything you do. You’re kind, you avoid negative thoughts, and you always seek to improve yourself and those around you. But, you still suffer. So, what is the reason? That’s up for you to determine, and frequent, deep meditation will help you realize what it is in your life that you need to change in order to make spiritual progress. Repeating this process over and over will eventually bring you to the point where your spiritual weaknesses become your strengths and you’ll be ready to become enlightened. With the above information in mind, you’ll be well on your way to mastering Buddhism basics and becoming a more well-rounded, spiritual individual. Then, you’ll be able to help others reach Nirvana, as well. Want to learn more about Eastern philosophy? Make sure to check out the rest of our blog!